The Centre Wednesday opposed in the Supreme Court the concerns raised by the Election Commission on issuing electoral bonds and justified the changes in law saying it was "a pioneering step" to bring poll reforms "ensuring transparency" and "accountability" in political funding. The government in its fresh affidavit said that the massive amount of political donations were earlier made in cash by individuals or corporates using "illicit means of funding" under the old system and unaccounted black money was pumped in for financing elections. 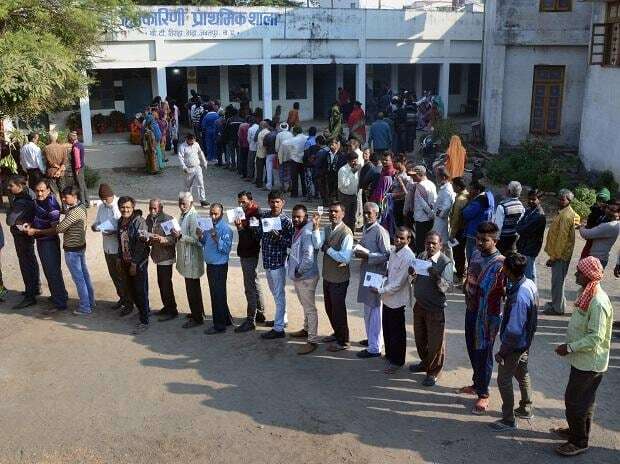 The Centre's stand is significant as the poll panel in its affidavit said that the changes made in several laws by the central government will have "serious repercussions" on transparency. A bench headed by Chief Justice Ranjan Gogoi Wednesday said it will hear the pleas challenging the validity of the Centre's decision on issuance of electoral bonds for political funding on April 5. It told advocate Prashant Bhushan, appearing for one of the petitioners, Association for Democratic Reforms (ADR), an NGO, that the matter would be heard by an appropriate bench on Friday. In its affidavit, the Centre has said the electoral bonds "attempt at bringing greater transparency, ensuring KYC compliance and keeping an audit trail in comparison to the earlier opaque system of cash donations. "Accordingly, the concern of the Election Commission of India that electoral bonds will enable foreign companies to influence Indian policies is without any legal or factual merit," it said. The government said there was an unregulated flow of Black money under the old system and "the unaccounted-for monies received by political parties were also spent without being accounted for, thus creating/enabling a parallel economy, as it were, through the use of unaccounted for cash". "It is submitted that contrary to the concerns raised by the Election Commission of India, the amendments in the respective legislatures have been made and the Electoral Bond Scheme has been introduced, as a pioneering step in bringing electoral reforms, to ensure that the spirit of transparency and accountability in political funding is maintained," it said. The affidavit said that considering the need to impart greater accountability in funding of political parties as well as to maintain the anonymity of the donor, a mechanism of political funding by way of electoral bonds was introduced. "Under the present system, electoral bonds can be issued only by an authorized bank, being the State Bank of India. All payments made for the issuance of the electoral bonds are accepted only by means of a demand draft, cheque or through the Electronic Clearing System or direct debit to the buyers' account. No Black money can, therefore, be used for the purchase of these bonds," it said. The government said under the new system, the political party must now disclose the receipt of money through electoral bonds and must account for the same. "The Electoral Bonds is a positive step in the right direction to ensure accountability and transparency in conducting elections. The need to bring about such a change was felt as the measures that existed on the book were either not enough or were proving to be ineffective/insufficient in dealing with the menace of corruption in Elections," it said. The government said that it had notified the scheme after due consultations with concerned stakeholders and even the poll panel was also briefed on Electoral Bonds by the Secretary, Department of Economic Affairs in September of 2017. The BJP-led NDA government had announced electoral bonds in the earlier budget, claiming that the scheme would clean up political funding. The government's move was resisted by opposition parties.